Class 2S have been combining their literacy learning with our regular sessions spent in the Turney sensory room. This is a unique, safe area, which is great for the pupils to explore and stimulate their individual sensory needs. We have been reading the story of Macdonald’s Farm during our literacy lessons. This is backed up in the sensory room with some role-play drama being carried out. Each class member is asked various questions about the book: what is your favourite animal? What sound does it make? How does it move? We then invite the Class 2S pupils to show their friends the actions of each animal. This work is always backed up with a strong understanding of the different signs for each animal. 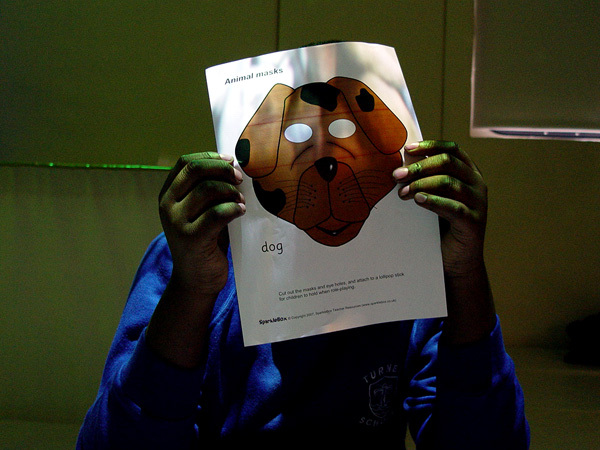 Animal masks help to add to the drama work. We encourage each pupil to describe in their own words what the masks look like using as many adjectives as possible.